Do you want to ace the game of pool with your friends? Well, a game of pool is one of the most renowned indoor games that people all over the world love to play. And if you want to know how to play pool – both the 8-ball pool game as well as the 9-ball version, then keep reading on. 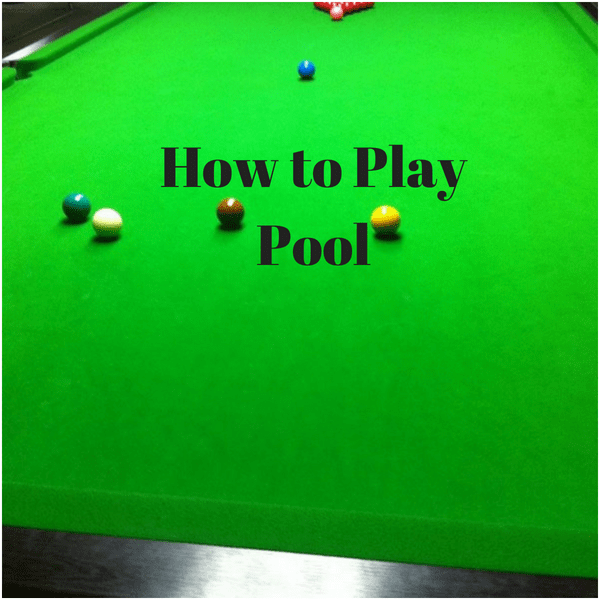 Here are some of the helpful tips, rules, and tricks that will help you become a pro at the pool game. It is played with a total of 9 balls and a cue ball of course. The main objective of this 9 ball game is to pot all the stripes and solid balls first. Then to pot the 9 ball to win the game. The pool matches consist of several games and the winner is considered as the ‘best out of’ those games. Each player wins as many games as possible with their attack ad safety play procedures, to win the match. The foremost thing to learn is to place the right ball in the right position that is otherwise known as the Racking Procedure. You should be first capable of keeping the pool balls in the proper position. The rack configuration of 9 ball pool game is different from the 8 ball. The ‘1’ ball should be placed at the apex that exactly sits on the foot spot area. The target and the most important ball- ‘9’ ball should be placed at the center. All the other balls can be distributed randomly according to your wish, to form a stipulated shape such as the diamond shape. But make sure that all the balls cover the middle ‘9’ ball. Each player should take a ball in hand with equal size and weight. One player should stand on the left side of the table and the other one on the right side. Both should be positively at the head rail side. Once when they throw the ball, it should bounce off the foot rail and then come again to the headrail. The player whose ball stops closest to him at the head rail side wins the lag. And now it is him, who should decide whether he is going to break first or his opponent player. The first breaker should target the 1-ball first and should pocket at least four numbered balls to the rail side. If you have the cue ball driven off the table or been pocketed, then it is meant to be foul. Don’t forget that when the object ball jumps off the table from your break shot, you are meant to be again foul. Or on the other hand, if you gain your break shot, you are allowed to shoot continuously until you miss to pocket the balls. When once the player misses pocketing the ball, then the chance is passed over to the alternate player to play his turn. Here you enjoy the game and it ends when the 9 ball is pocketed in a legal shot without making any kinds of foul. Also make a note that your game would be forfeited at any time, due to any serious violations of the rules. Push Out– After a legal shot, the player can play for a Push Outshot to place the cue ball in the better and favorable position. It is not necessary to touch or hit any ball in the Push Outshot. All other rules of foul, are the same in this shot too. When the player scratches the break shot, the incoming player cannot gain a Push Outshot. Fouls – No balls that are been pocketed in the foul shot are re-spotted, except the target – ‘9′ ball. If a player fouls, the incoming player is awarded a ball in his hand to place it anywhere in the table. Several fouls in one shot, are counted as to be one. No Rail – If no ball is pocketed, or if the cue ball failed to drive any ball to a rail, then it is considered to be the foul shot. In Hand – The ball given in the hands of the player can be kept anywhere in the bed of the table, without touching any object balls. He is also allowed to change the position of the ball several times until the shots. Bad Hit – The shot is meant to be bad when the first object ball touched by the cue ball is not the least numbered. Three Consecutive Fouls – The game ends or is lost by the player when he shots three consecutive fouls, without having a single legal shot. The three fouls must be in his one same game, to be declared as the looser. Stalemate – When the referee concludes that the game is not in the progression side, he may declare his command at any point, giving each player the last three chances on the table. And still if it continues as the same, he declares the game to be Stalemate and the breaker of the last game will again start to break the game. End – The game ends if and only if the 9 ball is pocketed in a legal shot. For better 9 Ball game should know about it’s Rules. It is played with 8 object balls and one cue ball. As in the ‘9’ ball game, the object of the game here is also to pocket all the object balls first and then to finally pocket the target- ‘8’ ball. The players can play singles or doubles also. The one who wins the maximum number of games wins the tournament. The fouls and most of the rules are same here as in the ‘9′ ball regulations. The configuration of the 8-ball game is entirely different and one should thoroughly know to form the pattern. The apex ball is kept to sit on the foot spot. The target- ‘8’ ball is placed in the middle of the third row. And the balls of opposing suits are placed in the other two corners. The white ball should be placed at any point of the service line. The rules for deciding which player to break first is the same as the ‘9′ ball game. The break shot which is the vital shot breaking the game also has the same regulations as followed in the 9” ball games rule. Placing– The object balls that are placed in a triangular rack should be positioned at the lower end of the table. Deciding– To decide who lags the game initially, one can either use the technique of tossing the coin or just giving the balls to both the players, then ask them to throw it on the table. The one whose ball is nearest to the headrails as per the regulations wins the break shot. Legal Break Shot– To attain a legal break shot, one should hit the object balls that at least four of them are displaced and make sure that the cue ball is not pocketed. Continuing the Game– The first player who had pocketed the stripes or solid balls will then have to continuously hit the shots until his next miss. When missed, he had to pass over the turn to the next incoming player for the upcoming shot. Ending the Game– To end the game, when all the object balls are pocketed one by one by, the target ball (‘8’ ball), must be snaffled. Before a player finally initiates the end shot, he must designate the opposite player that in which pocket he is going to put the ‘8′ ball. The failure in doing it so reverses the turn to the opposite player to occupy the table and proceed his shots. The one who puts the’8’ ball in the intended pocket, wins the game. For better 8 Ball game should know about it’s Rules. Both the kinds of the pool game are played in the normal sized pool table. But set your mind when anyone asks for you that how to play pool, then do not forget that they are speaking about the ‘8 ball’ pool game. As compared to the 9-ball game, the 8-ball pool is generally more popular among all, although both can derive equal amounts of engagement and fun.